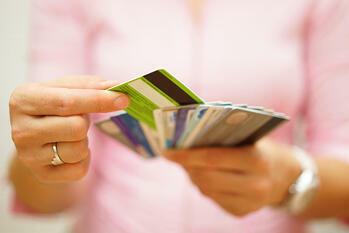 Every time you apply for a new card, an inquiry into your credit takes place. These reviews can stay on your credit report for up to two years. Too many applications in a short amount of time can make it seem like you rely on credit too much, making you a risk. You may feel the urge to cancel a card after finally paying it off so you won’t use it again. However, an important aspect of your credit score is the average age of your accounts. Closing an old card could negatively affect this and, in turn, your overall credit score. If a friend or family member needs a co-signer on a loan, it’s natural that you would want to help. However, this can be a HUGE risk to your credit, even if you don’t own the item for which you are signing the loan. If the person stops making payments or defaults, the lender will come after you. Making payments on time is a huge factor in your credit score. The longer amount of time that you have on time, consistent payments; the more reliable you appear to lenders. You may also have to deal with late fees which can really eat away at your bank account over time. Only making minimum payments can hurt your credit score. In an ideal world, you would be able to pay off your entire credit card each month. However, things happen and you may find yourself only being able to make a partial payment. A good rule of thumb is to never utilize more than 30% of your credit line at a time. You should always be checking your statements to make sure that all purchases have been made by you. If you realize later that fraudulent purchases have been made, you may be held responsible. Check your statement at least once a week or more depending on how many purchases you make. Set alerts so you will be notified if a certain amount if spent. This isn’t a good idea for obvious reasons. 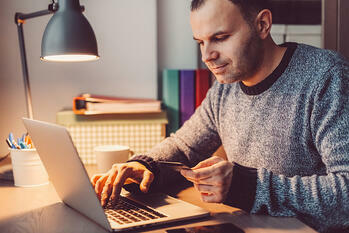 This shows creditors that you have a high dependence on credit cards making it less likely you’ll receive loans or additional credit in the future. You wouldn’t sign a contract without reading it and a credit card is the same way. The terms of a card dictate how the card works. This includes information on fees, interest rates, claims, disputes, etc. Before signing anything, read through these carefully to avoid unpleasant surprises later.